Who Are The Kenya People? 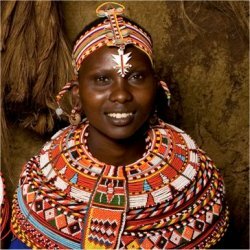 The Kenya people are very diverse and include most linguistic and ethnic groups in Africa. About 98% of them are Africans. Because of the tribes, national identity is rather weak, although most governments have tried to create a ‘Kenyan identity’. Kenyans on the whole are friendly and relaxed people, who enjoy everyday life. They are never too busy to make time for you, and little crowds gather in no time if something extraordinary is happening. It happened to me more than once that a stranger, whom I asked the way, would walk me all the way to my destination. Foreigners are interesting to them and white people (‘mzungus’ in Swahili) often draw some sort of (friendly) attention. More about this on my page about Kenyan culture. 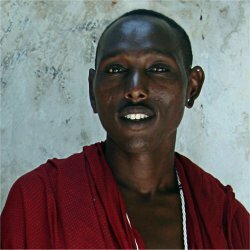 There are between 40 and 70 tribes in Kenya, depending on how you count. Tribes are mainly based on language. They can be divided into 3 main groups: the Bantus who came from Nigeria and Cameroon after 400 AD, the Cushitic tribes who came from northern Africa around 2000 BC, and the Nilotic tribes who came from Sudan and Egypt around 400 AD. Barack Obama. That is to say, his father was a full-fledged Kenyan from the Luo tribe. Obama himself never lived in Kenya, though he made a much-publicized trip to Kenya in 2006. Also have a look at these quotes from famous Kenyans and other people talking about Kenya. Non-Africans (Arabs, Asians, and Europeans) only form about 1% of the population. Along the coast live Arabs, who have been trading with Eastern Africa across the Indian Ocean since the 9th century. The world famous Swahili culture resulted from this mix of Arab and African influences. There are still some 30,000 British and other Europeans , and in the 20th century also Indians and other Asians came in to work. Although there number is small, they are economically important. What religion do Kenyans belong to? The majority of the Kenya people are Christians, although Christianity is often mixed with traditional beliefs, among others a belief in witchcraft. The Arab influence along the coast resulted in some 6 percent of the population being Muslim. The rest follow traditional beliefs, often some type of animism. What occupation do Kenyans have? Three quarters of the Kenya people work in agriculture. Kenya is a main exporter of coffee and tea. In the dryer regions, most farmers herd cattle. A number of tribes are still semi-nomadic. Kenya also has a small industrial sector, but still larger than most other African countries: maize and wheat flour factories, cotton factories, beer breweries and producers of house hold goods. Mombasa has the largest sea harbour of East Africa. Tourism is rapidly growing as a sector and is now an important source of foreign income. Many people have migrated from rural areas to the cities in order to find jobs. Although the standard of living in the Kenyan cities is higher than elsewhere in sub-Saharan Africa, it has been declining in recent years, and a lot of the new arrivals end up in the big slums surrounding Nairobi and other cities. - See our page about the population distribution. About half of the Kenya people live under the poverty line. There’s a small very wealthy upper class – often through corruption – who don’t seem to care much about the economic state their fellow countrymen are in.